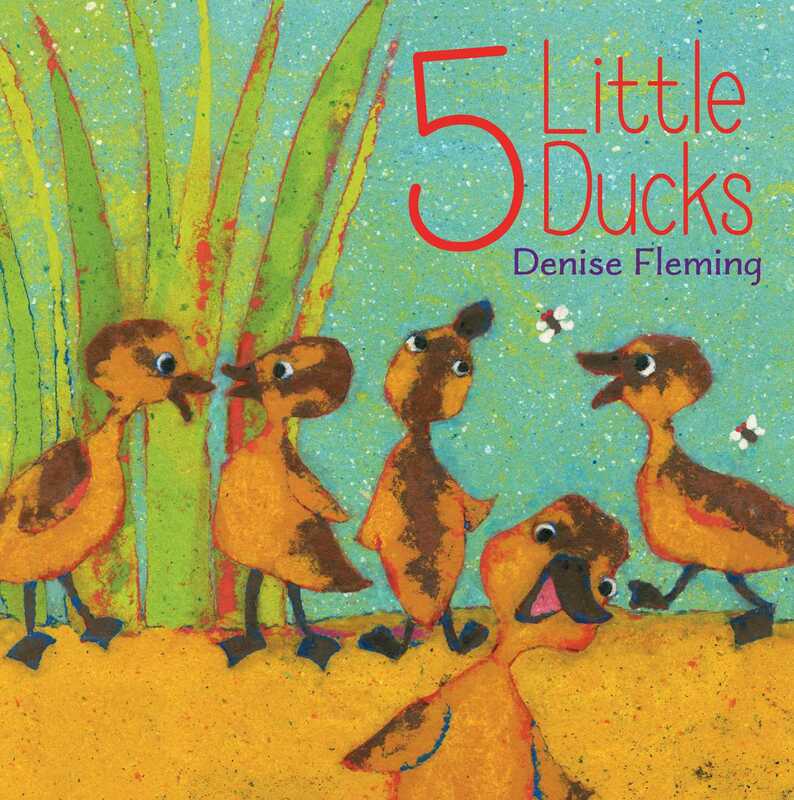 Make way for another perfect preschool picture book by Caldecott Honor recipient Denise Fleming! Featuring a flock of oh-so-adorable fuzzy ducklings, this delightfully fresh take on the classic Five Little Ducks nursery rhyme emphasizes numbers and the days of the week—and these lucky ducklings are doted on by a loving Papa Duck as well as the traditional Mama. Young readers won’t be able to resist counting—and quacking—along! This stunning version of the familiar children’s song features a quacking father duck and ducklings who travel not just “over the hill” but “through the woods,” “past the paddock,” “across the fields,” and “down the road” on successive days of the week. By Saturday all are gone until they heed sad Papa Duck’s final “quack, quack, quack!” and come running home. On Sunday, Mama Duck suggests that the family rest. Fleming’s signature pulp paper paintings bleed to the edges of every spread, providing vibrant textured backdrops for the ducks’ adventures. In a brilliant use of color to represent various environments and temperatures, her speckled skies change from the cool blues of the pond to deep forest green to bright blue and then the yellow of a sun-hot day on the farm. Several creatures, including a less familiar flying squirrel, share scenes with the ducks, and some appear repeatedly. A huge, multicolored turkey spills over two pages, as do a group of pigs contentedly wallowing in mud. Papa Duck’s wings are outstretched to welcome his little wanderers just back from their final encounter—charming young Anna in her wading pool. VERDICT Large, repetitive text that invites participation; the opportunity to learn the days of the week; and interesting back matter that contains brief information about the ducks and other animals in the book make this a great storytime choice for all libraries. Fleming (Maggie and Michael Get Dressed) infuses a well-loved nursery song with the vivid hues of her signature pulp-painting illustrations in this joyful interpretation. The five tiny members of a mallard family waddle away from Papa Duck on Monday, headed “through the woods and far away,” but only four return when Papa calls them home with a “Quack, quack, quack!” The pattern repeats as the week rolls on, and also through a series of outdoor scenes—“past the paddock,” “across the fields,” and “down the road”—giving a strong sense of the ducks’ rural environs. 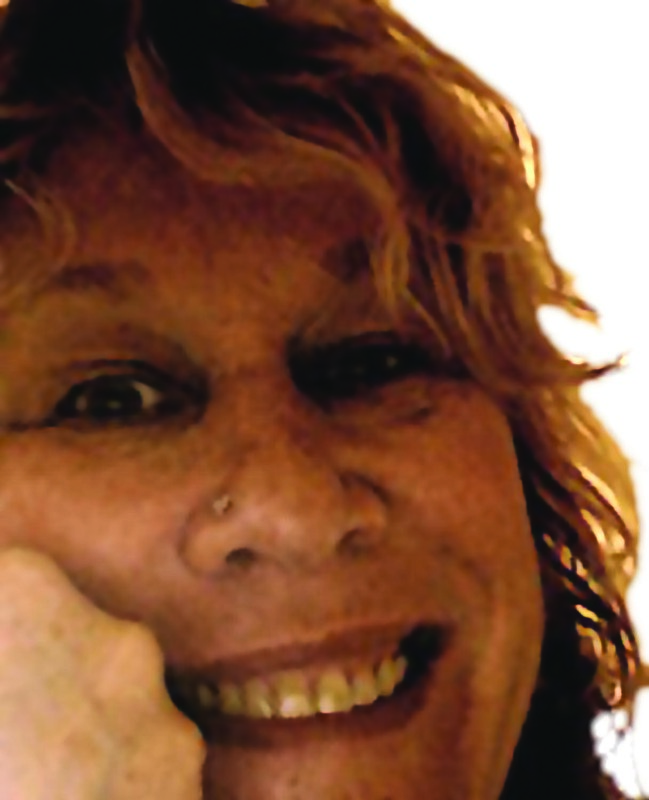 By Saturday, the family is reunited, and on Sunday everyone follows Mama Duck’s advice: “Today is the day we all rest!” In addition to incorporating the days of the week into this adaptation, Fleming introduces farm and woodland animals (flying squirrels, wild turkeys, pigs, and more), further expanding the ducks’ world and readers’ experience. A closing section identifies these animals, as well as a girl named Anna, who splashes around with one duck in her wading pool on Friday. A fresh rendition of a favorite. Up to age 8.